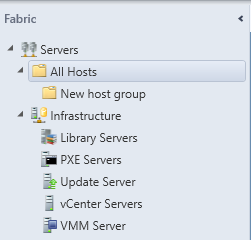 This is an extension to my SCVMM 2012 SP1 in a Lab series, as was requested by one of my blog subscribers. 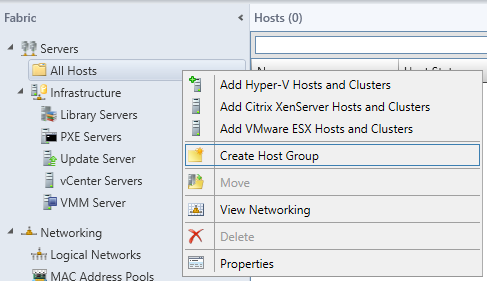 Right-click All Hosts, and then click Create Host Group. Click All Hosts. 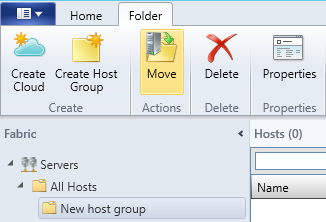 On the Folder tab, in the Create group, click Create Host Group. 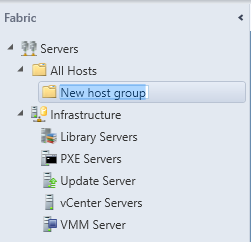 VMM creates a new host group that is named New host group, with the host group name highlighted. Type a new name, and then press ENTER. 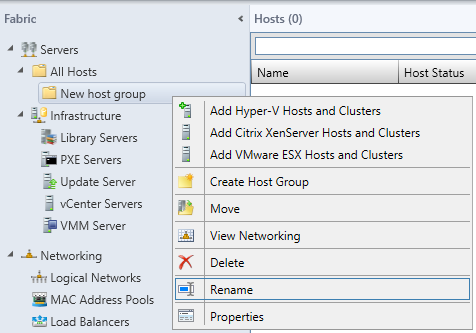 Right-click the host group, and then click Rename. Repeat the steps in this procedure to create the rest of the host group structure. TIP: To create a host group at a specific location in the tree, right-click the desired parent node, and then click Create Host Group. 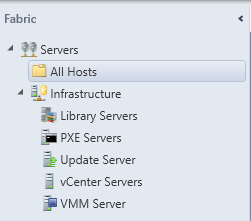 In the Fabric pane, expand Servers, and then expand All Hosts. Drag the host group that you want to move to its new location in the tree. 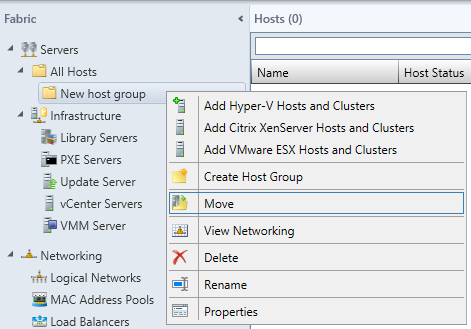 Right-click the host group that you want to move, and then click Move. 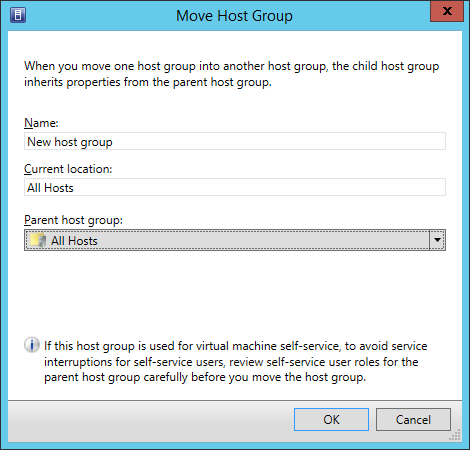 In the Parent host group list, click a parent host group, and then click OK.
Click the host group that you want to move. 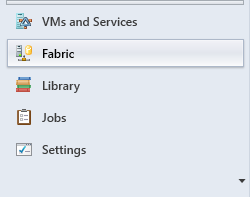 On the Folder tab, in the Actions group, click Move. 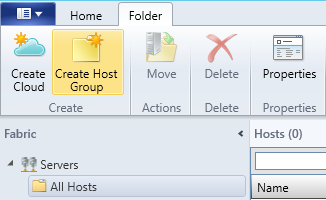 In the Parent host group list, click a parent host group, and then click OK.